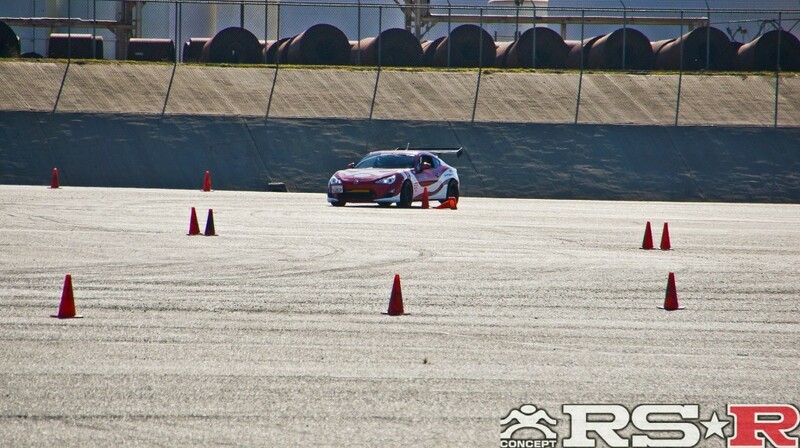 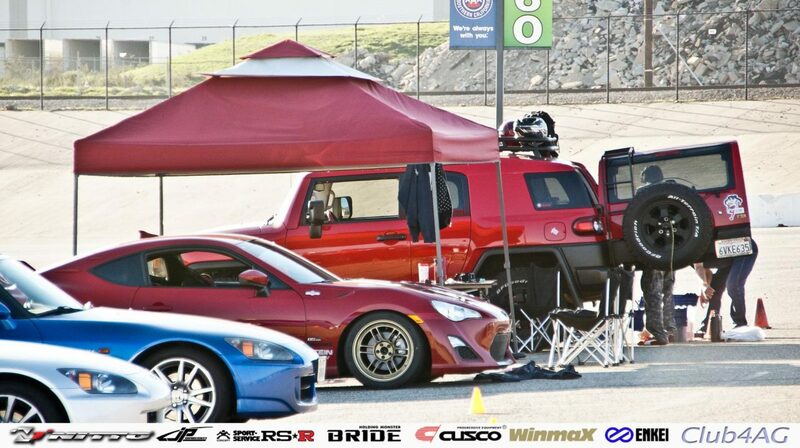 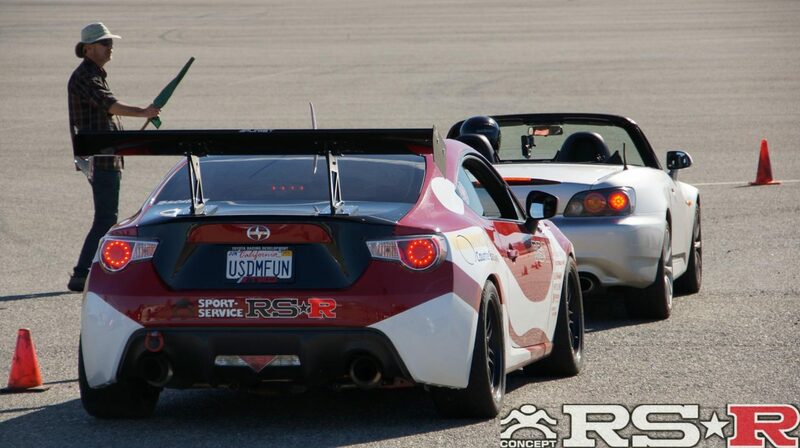 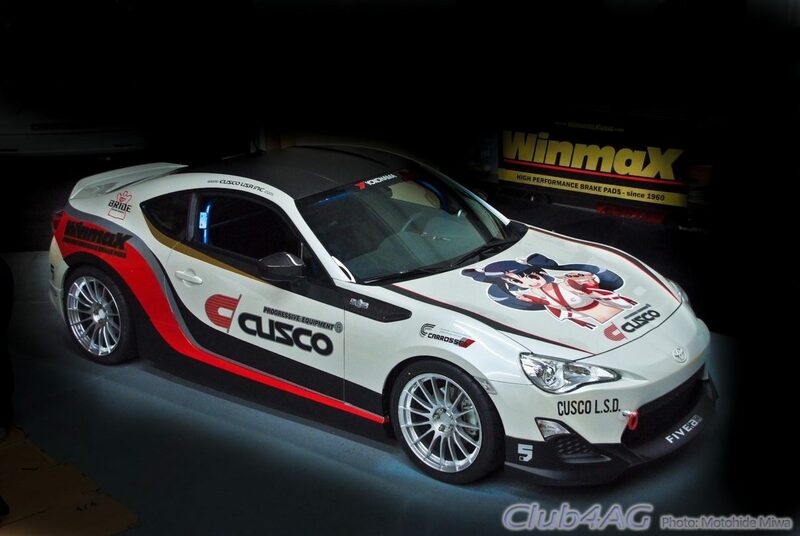 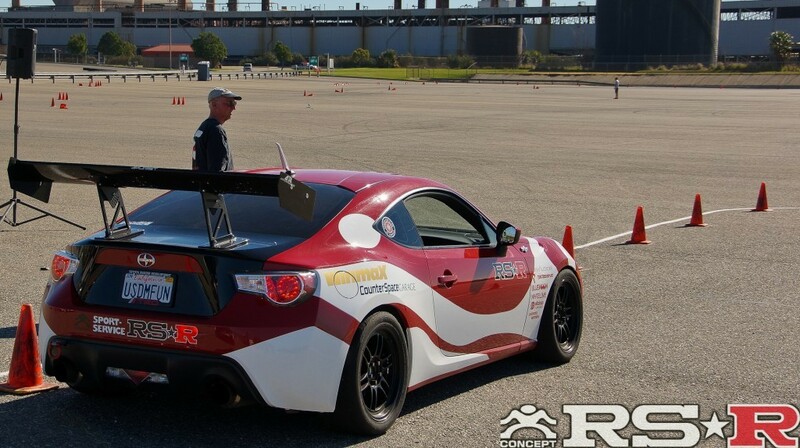 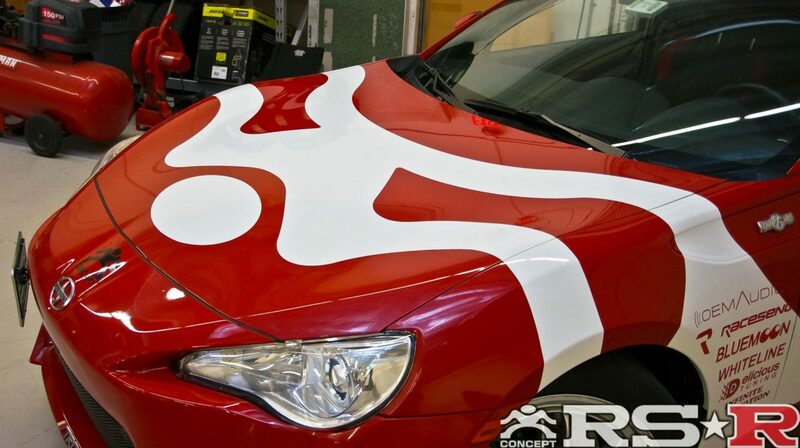 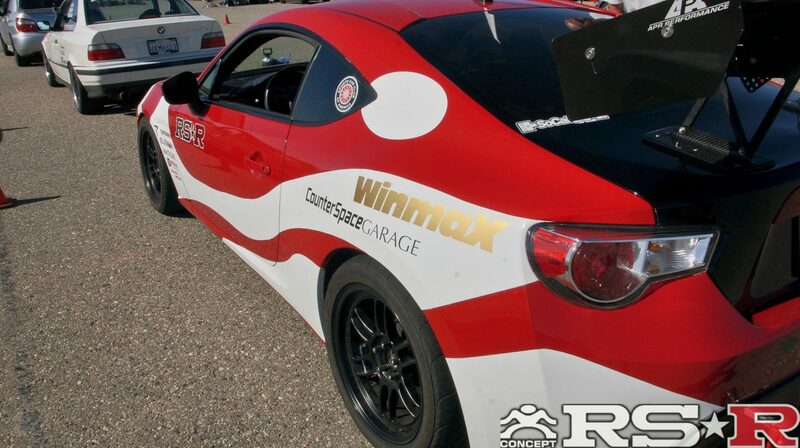 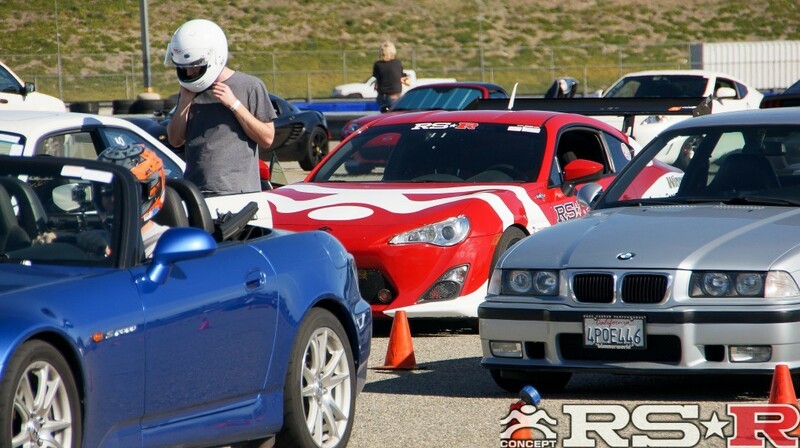 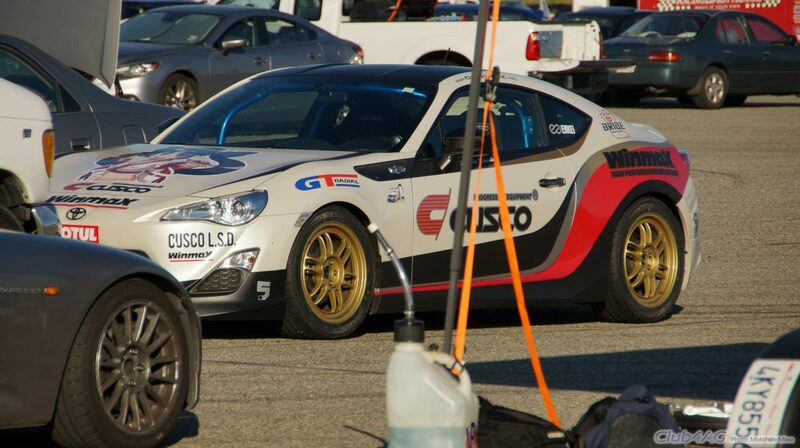 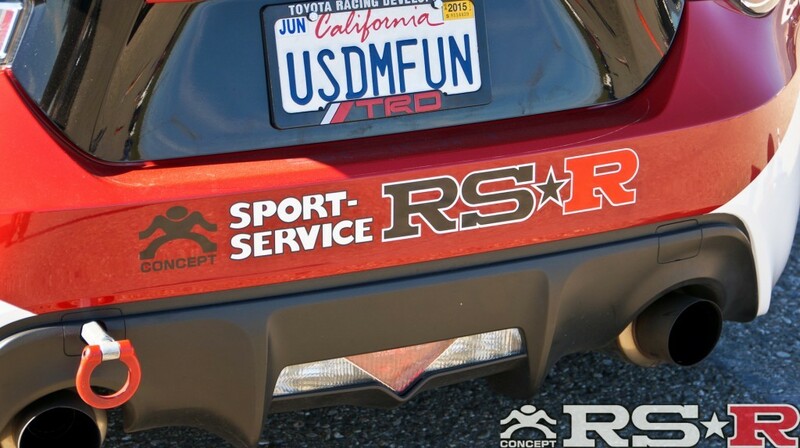 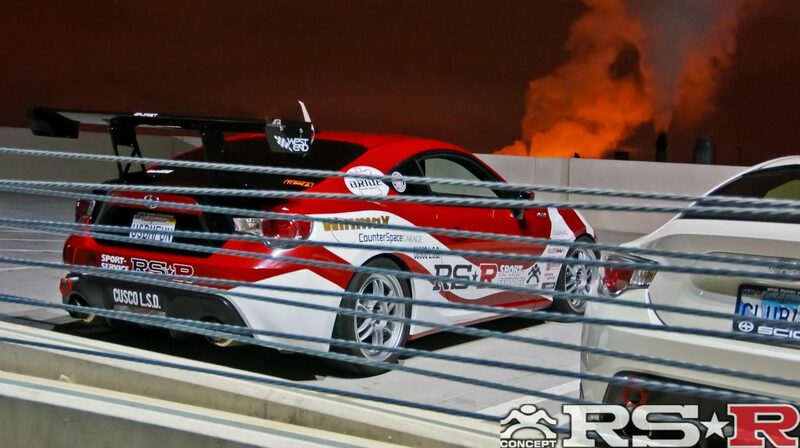 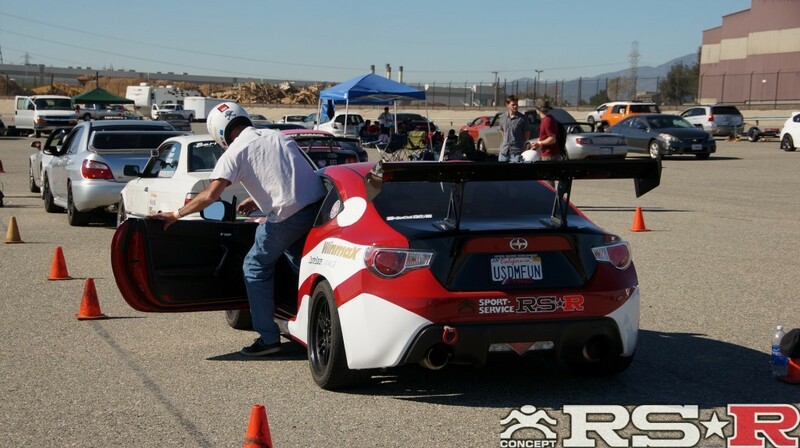 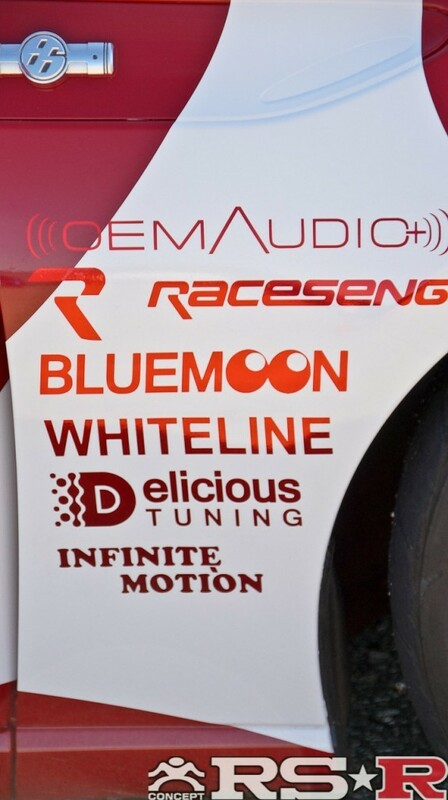 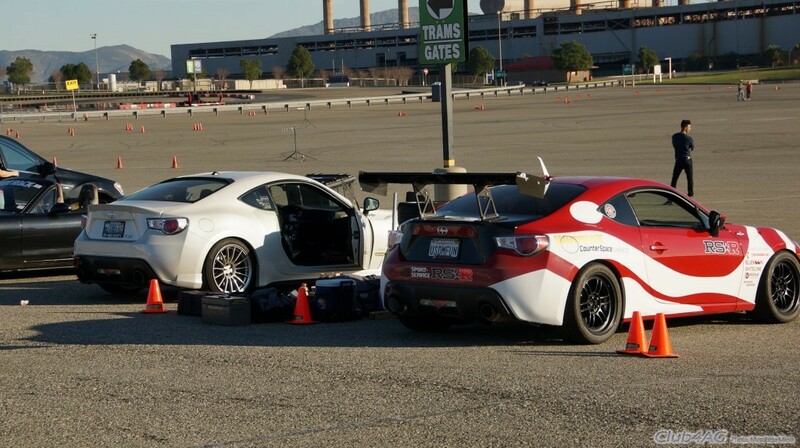 Home›Automotive News›Robert Strangarone's RS-R Scion FR-S takes to the autocross for the third season. 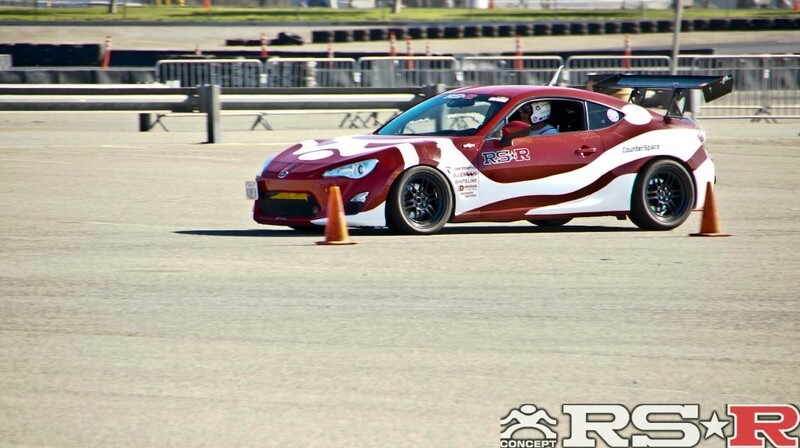 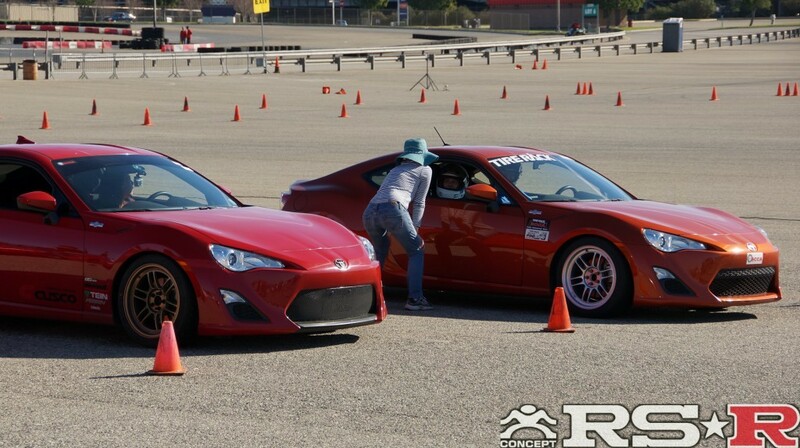 Bob Strangarone, who stated autocross shortly after he got his Scion FR-S in 2012, has been consistently building his car and participating in grassroots events. 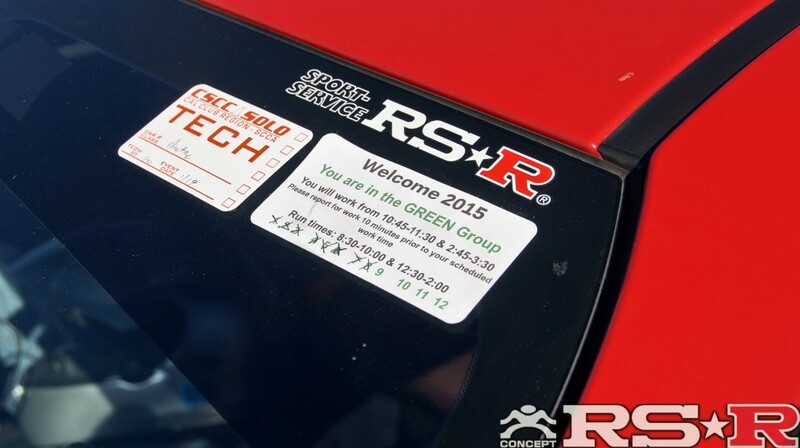 This year for 2015, the third season, he is lifted into high spirits, lowered on RS-R's custom tuned Sports-i Club Racer. 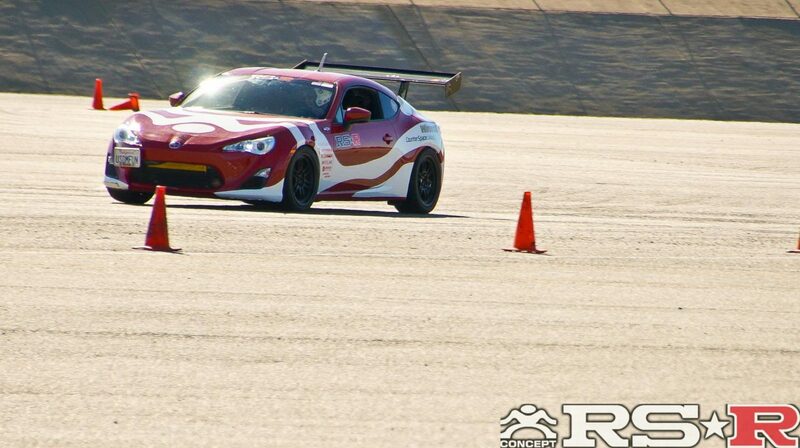 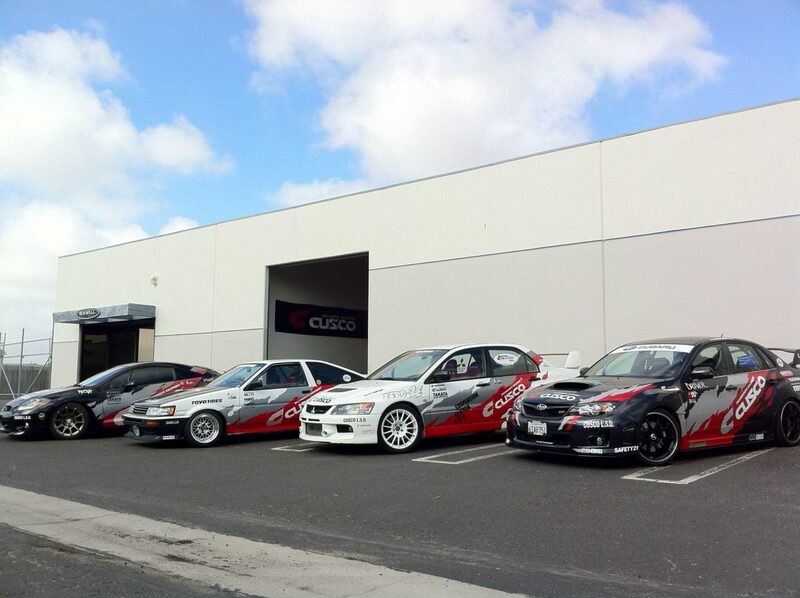 Winning already two of the three autocross already, we are off to a great start of the season. 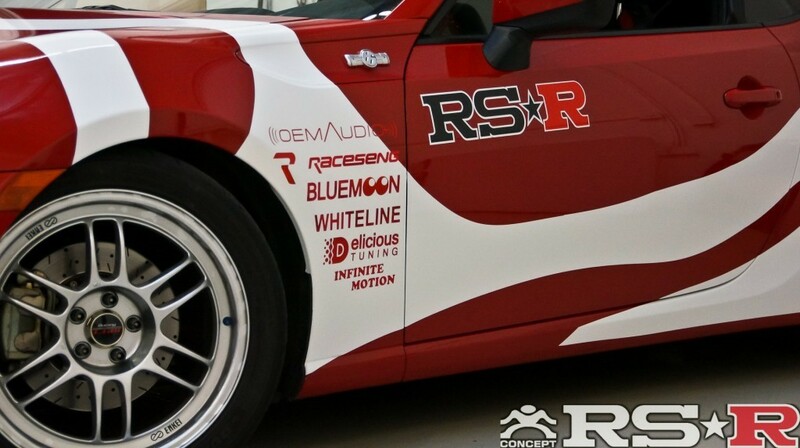 Like last year, due to the Supercharger by Innovate/Sprintex, he is now classed in Street Modified and suspension has been re-calibrated accordingly with Club4AG and RS-R Staff to meet Bob's unique driving preference. 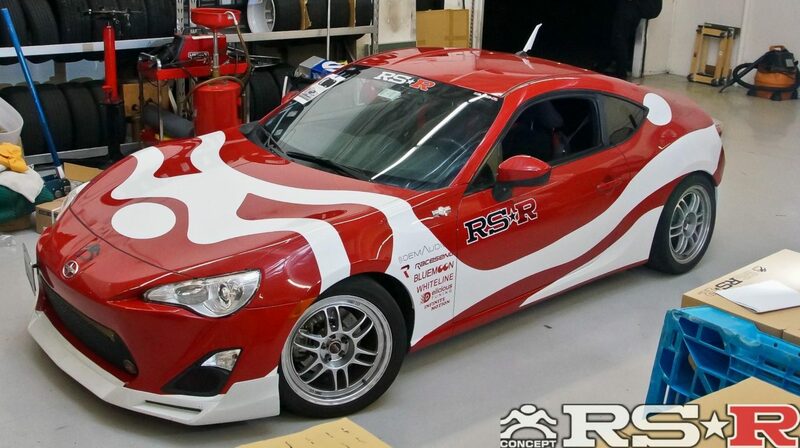 Equipped also with Cusco Limited Slip Type RS at 55/20 ramp and 100% clutch pack setup at full initial torque spring setting for immediate low speed action to negotiate small corners quickly and immediately. 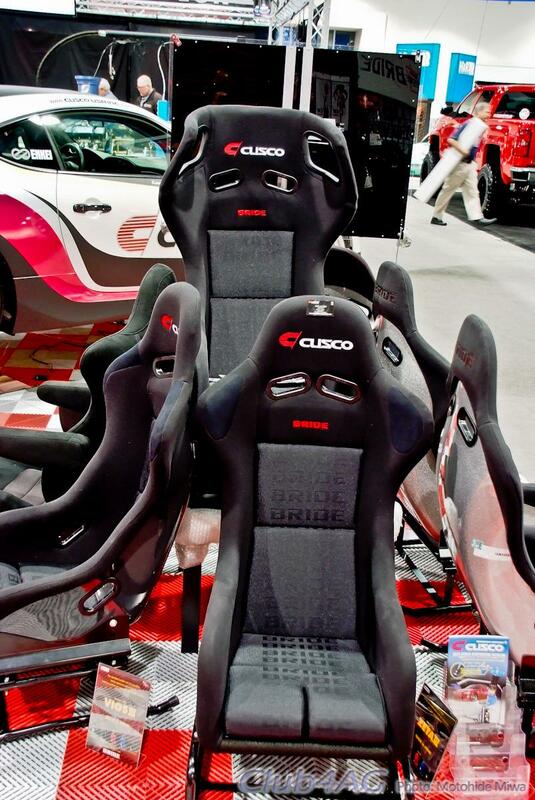 Select Cusco braces are used but not all according to legality in Solo2 rules. 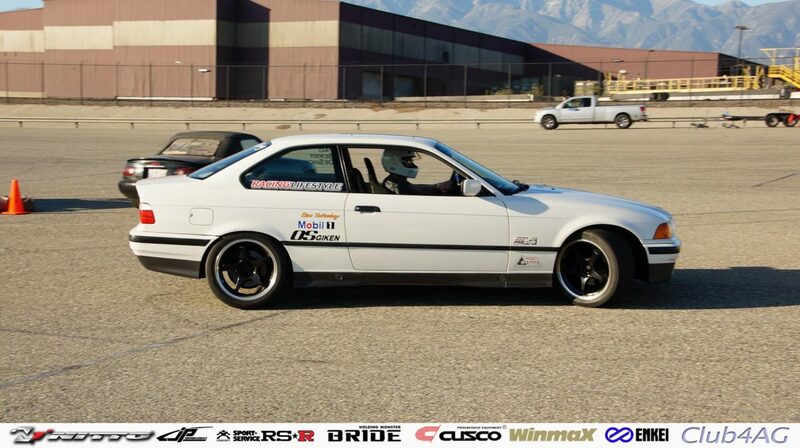 Suspension linkages consist of parts from Whiteline, RS-R, Raceseng, and SP, and we're still tweaking it for more competitive setup. Winmax W3 brake pads on stock calipers comprise enough stopping control and efficacy with Hoosier A7 tires and Enkei RPF1. 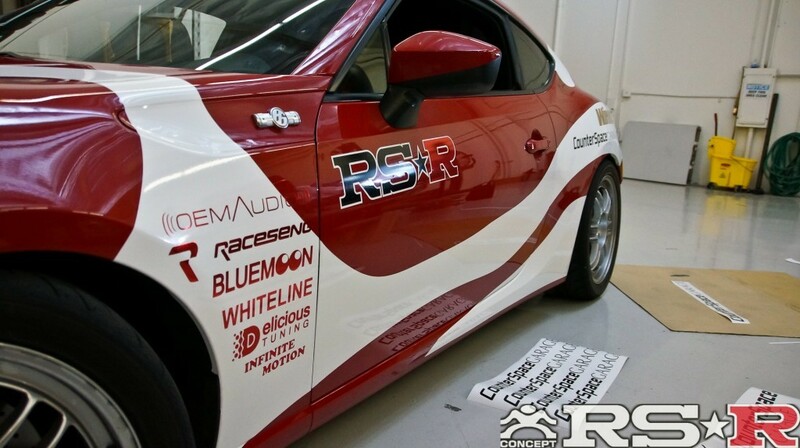 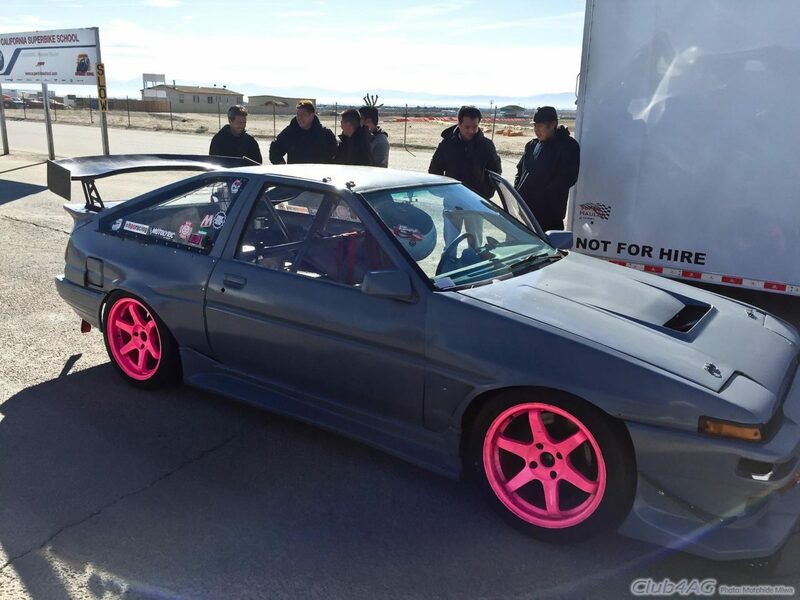 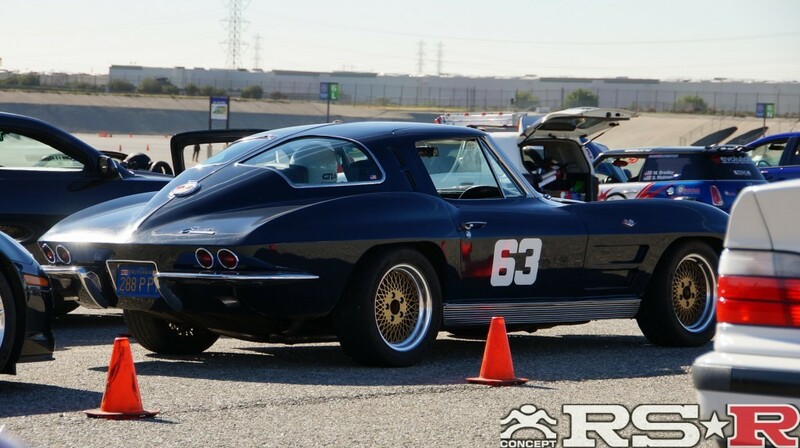 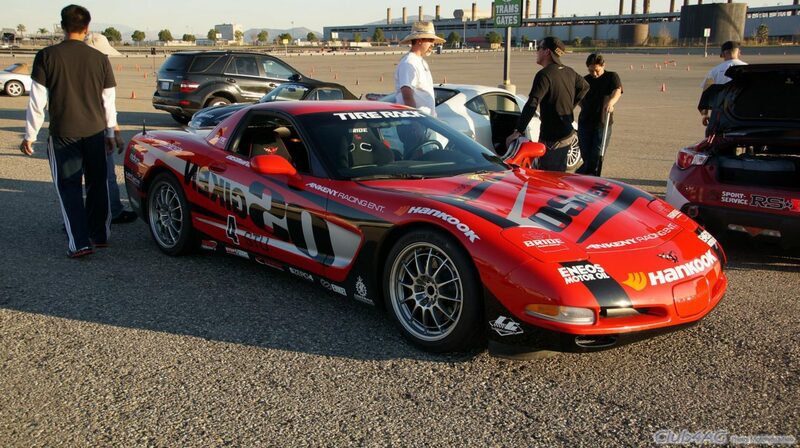 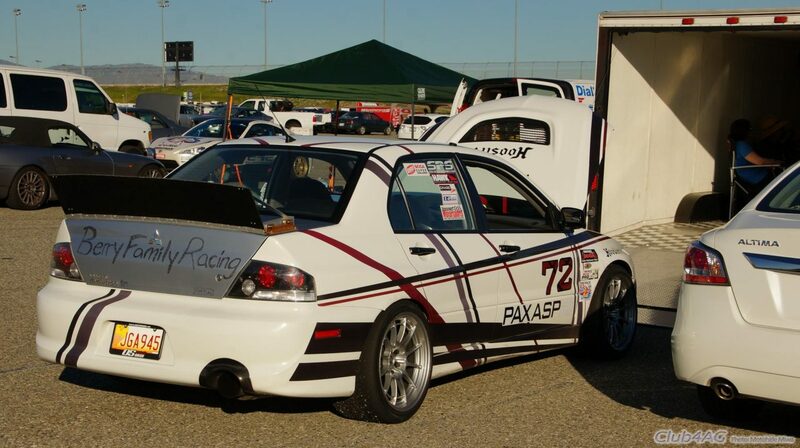 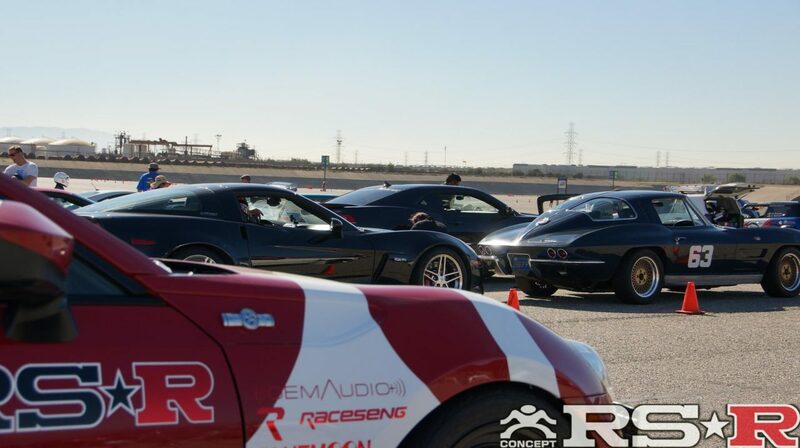 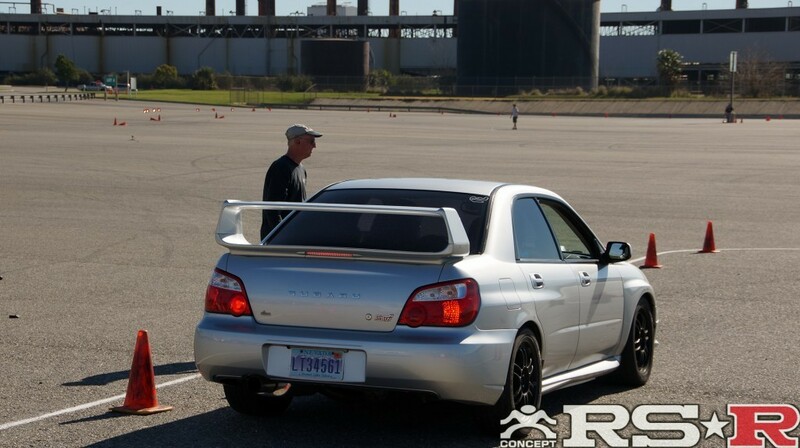 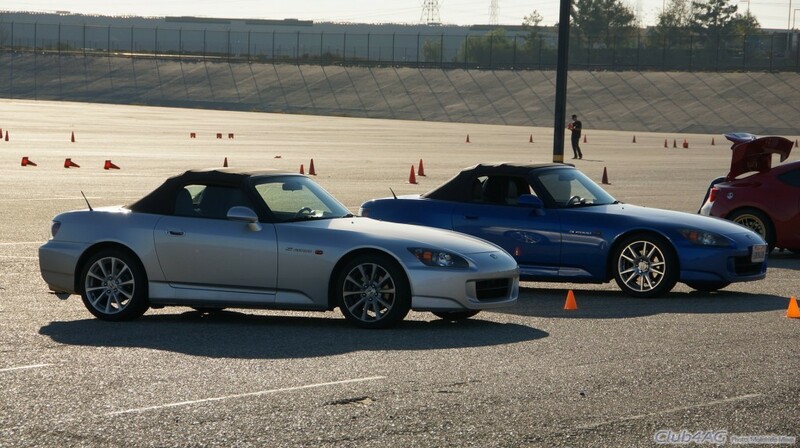 Since supercharger mapping was originally street tune, the car was re-tuned by Delicous Tuning, where it was characterized to fit Bob's driving and autocross better. 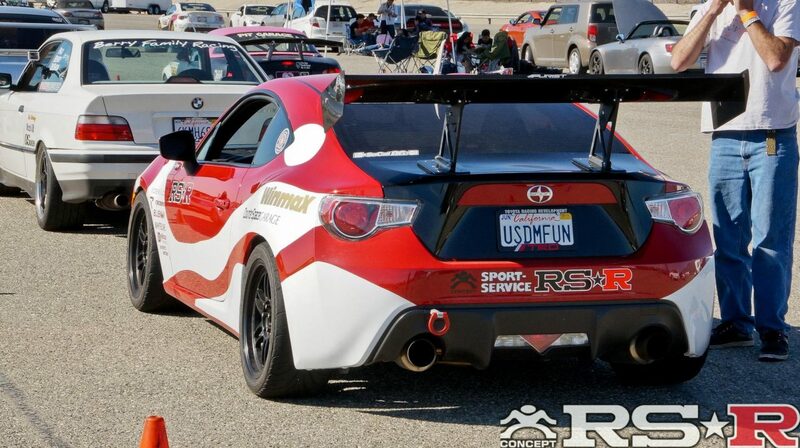 Of course all these parts added simply doesn't make a race car fast. 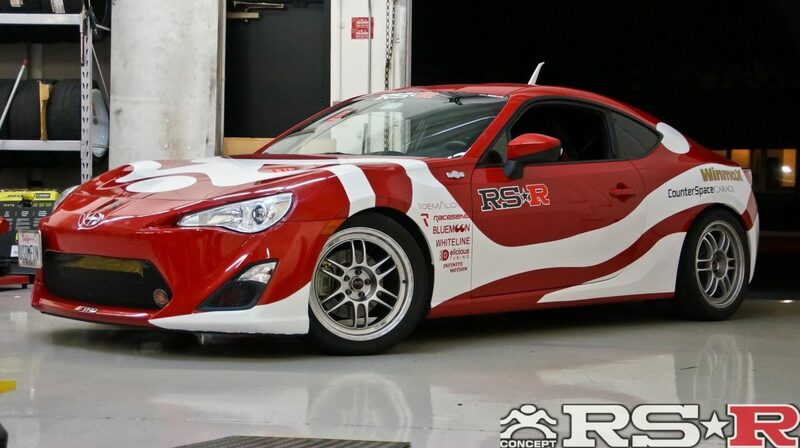 And to complete the fine calibrations are some of us at Club4AG, everyone at RS-R, and always in conjunction with Counterspace Garage who's quickly becoming a grassroots racing central for FRS users and complete and superb maintenance by Infinite Motion, and fabrication work by the renowned Bluemoon Performance. 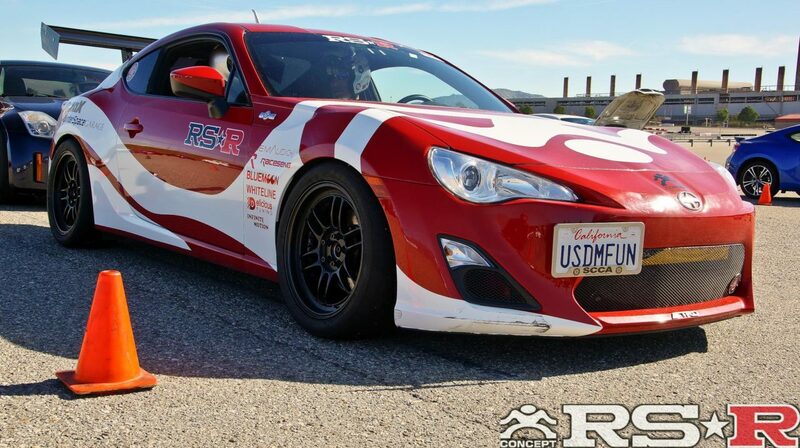 Still, there are awesome challenges ahead, as the FRS platform is new to Street Modified class where there are formidable custom rigs from all walks of automotive racing. 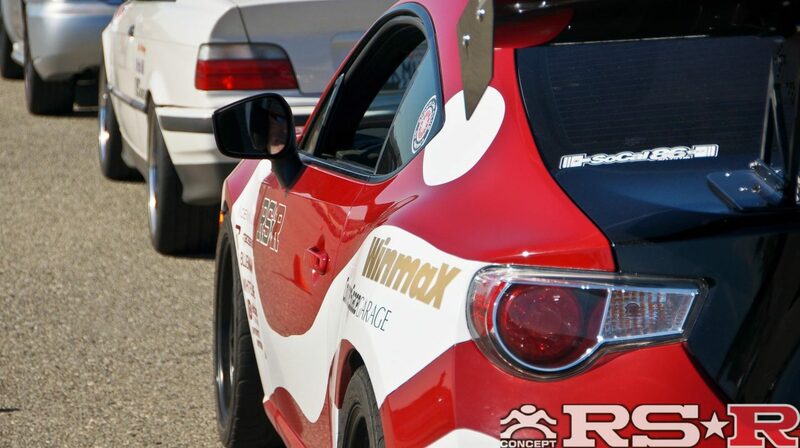 We hope to get Robert to more podium and trophy positions this year! 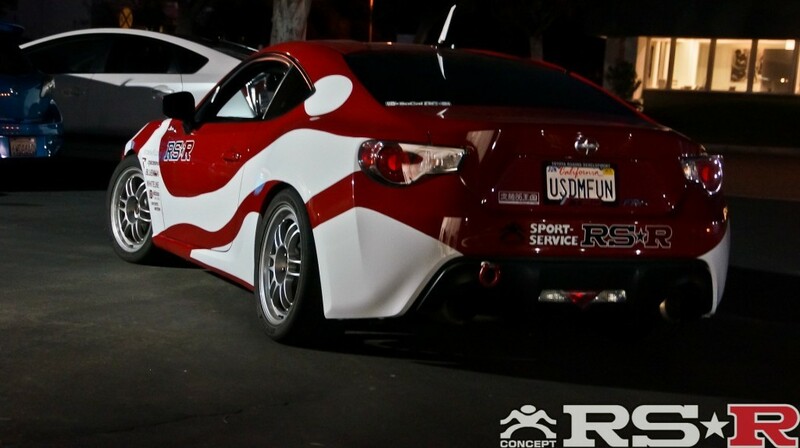 Watch his activities at his facebook page!